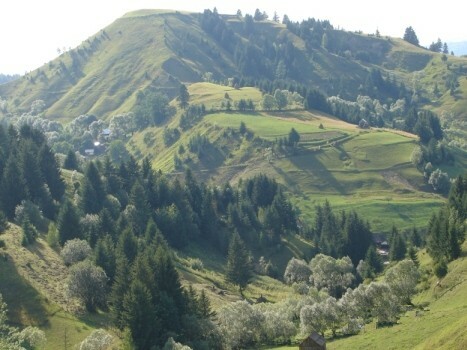 mountains, but I prefer to use name: Rodnian ) are placed in the central part of northern Romania. 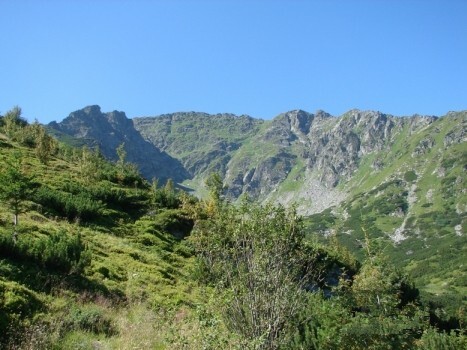 This mountains are rather easy to hike. Because of unique fauna and flora Rodnians are under protection. 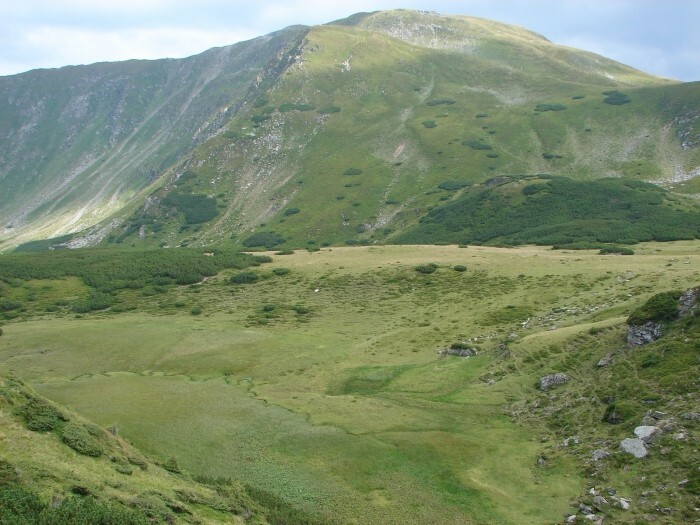 The area of the National Munti Rodnei Park , in comparison with Polish national parks, lgives the tourist much more freedom. We will find traced routes here, however the keeping the signed routes is not obligatory. You can also camp wherever. 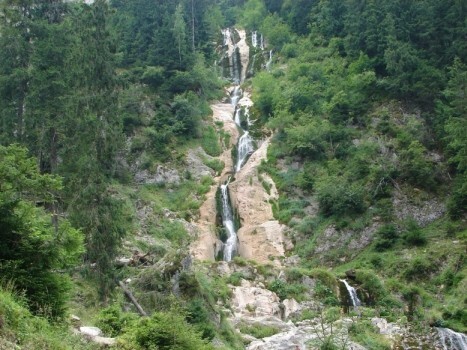 Borsa and placed about 15 km from Borsa - Borsa Turist Centre. 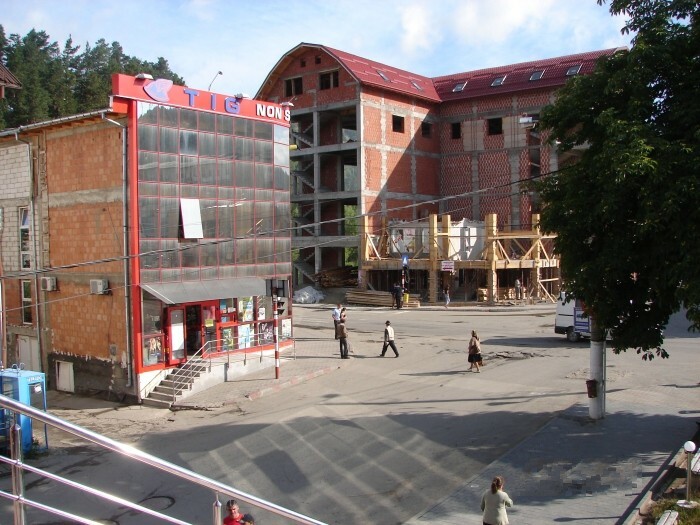 Borsa is rather large, counting almost 27 thousand citizens (2002 the year ) town, beeing located at the northern slopes of Rodnei mountains. 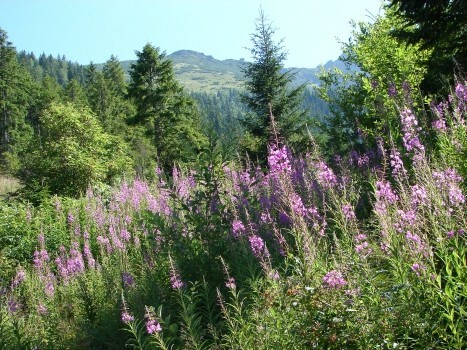 having the camping field and beeing placed near the highest top Rodnians - Petrosul ) . There is quite large choice of the various standard restaurants and bars in the town, so everyone can find something for oneself. There is also a supermarket which is open till 10.00 PM. 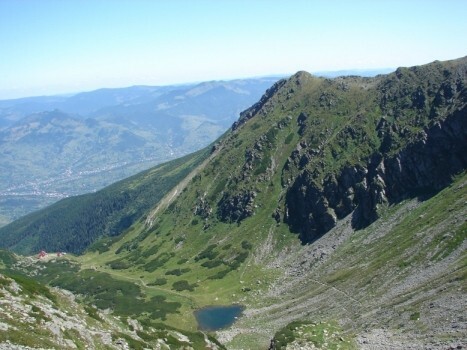 Romania is often called ”the country of contrasts„. flowery skirt and scarf on the head. 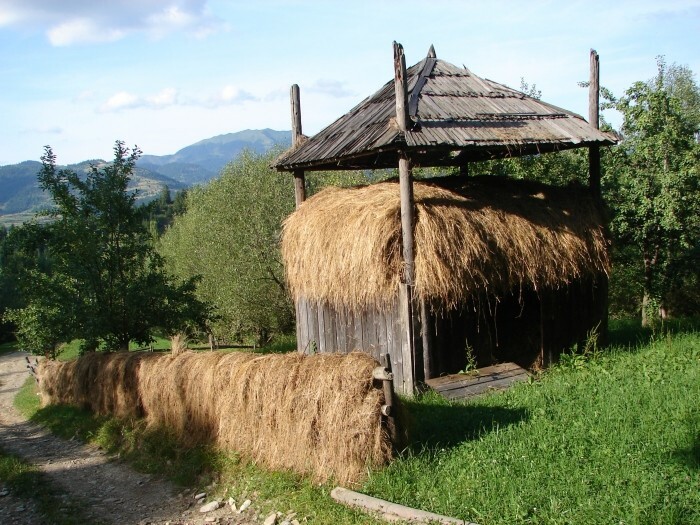 The way of drying the hay is also very interesting (attached photo). 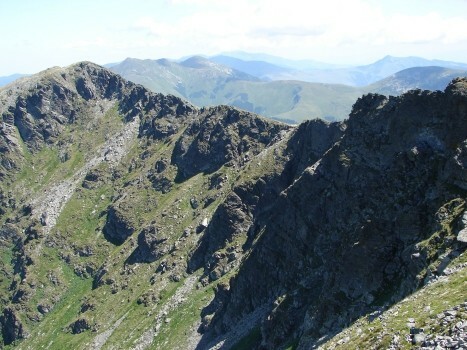 The description of the route: Start place : Borsa centre - main road leads to east in direct of Borsa Turist Centre. 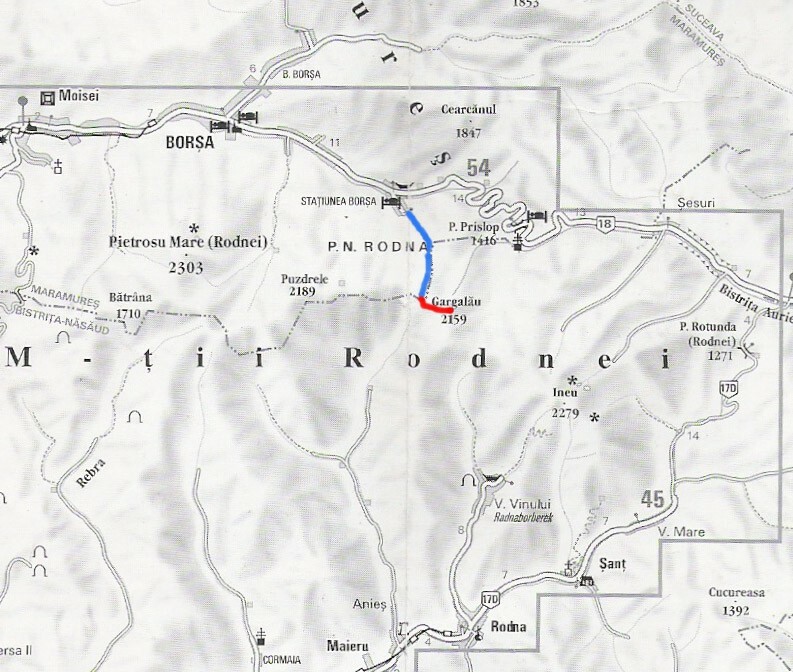 From the Borsa centre to the entry on the route is a few hundred metres. On the rigth side we will have a characteristic place - the large hospital. After passing the hospital You have to turn right into narrow side-road. Next, You have to walk ahead Next, You have to walk ahead to the triangular fork (about 300-400 meters ) where You have to choose middle path. Here is the start of the route. Our route is marked with blue signs ( vertical blue streak on white background ). We hike half of hour along buildings. Scenery slowly begins to change, there are less and less houses and more and more trees. 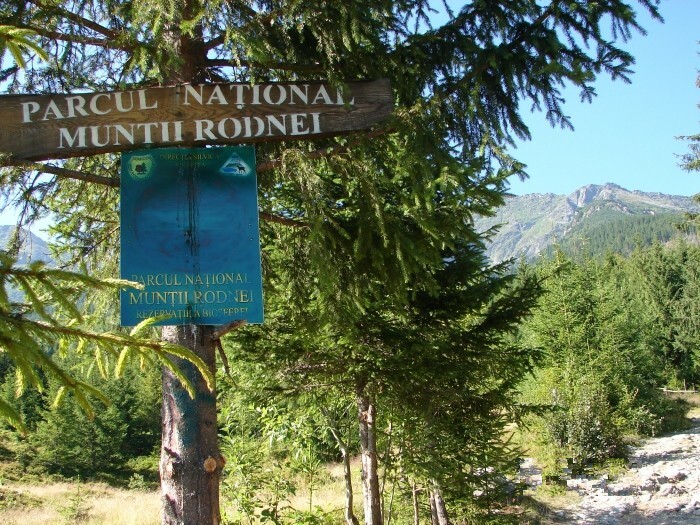 We reach the entry to National Park of Rodnian Mountains. From this place to reach the top of Petrosul You have to hike approx. 4 hours. The route skirts softly uphill along the forest. In the summer there are lots of raspberries here. During hot and dry weather there is no water here ( just only one very small spring ). 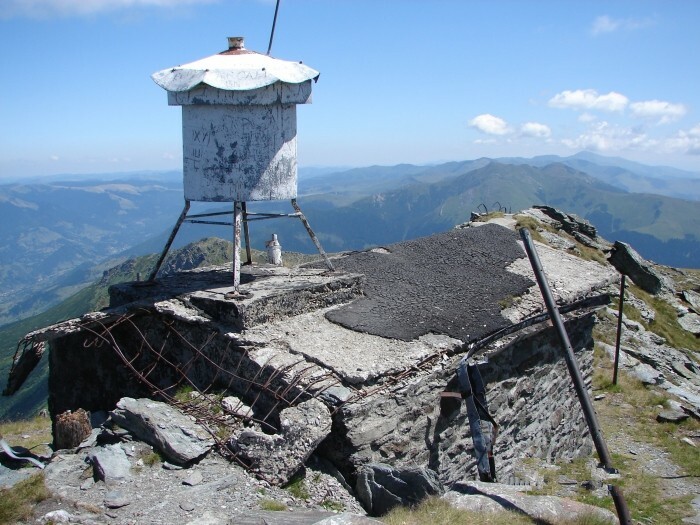 We reach the meteorological station "Iezer" (1785 m n.p.m.). Few minutes walk behind station is small lake, called "Lacul Iezer". but unfortunately inside are plenty litters. The return to Borsa - the same route. 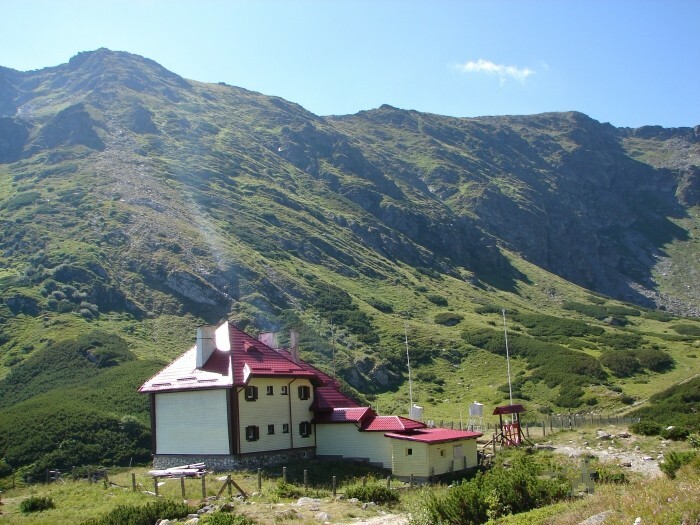 The description of the route: the facility here is a chairlift, which is rather cheap - about 8 lei . On the final chair lift station, You will meet nice guy offering cool bear for 4 lei. Rodnian waterfall - Cailor ( Cascada Cailor ). 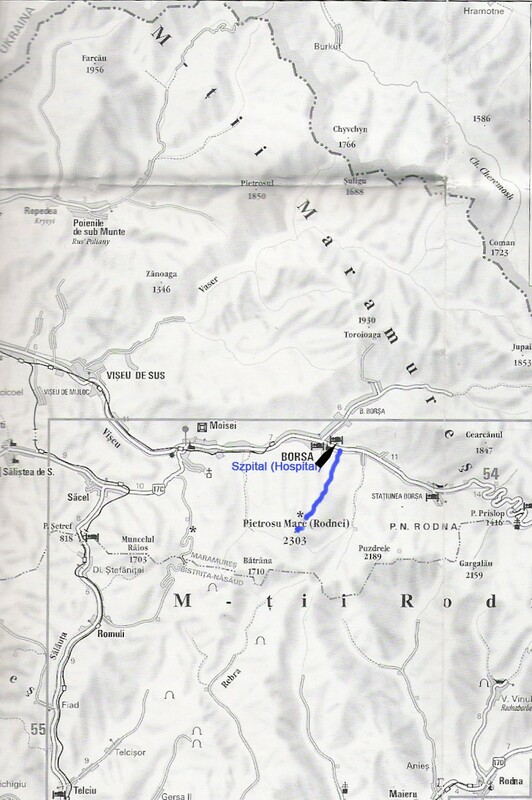 In such way we will reach our main blue signed route. the route signed red vertical signs. The return the same route. ( honestly speaking not recomended way, because of difficulties with catching hitchhike ) about 16 kilometers in total. From the border we were lucky - we caught hitchhike to Syghiet - a city in the north Romania. From Syghiet at 6.00 AM is a bus to Borsa - our destination place. 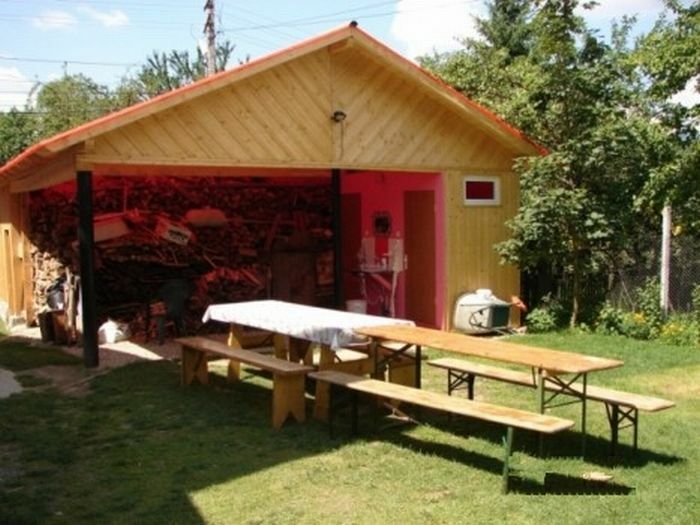 As it was mentioned before, I recommend guest-house "Borsa Turism" with small camping field. 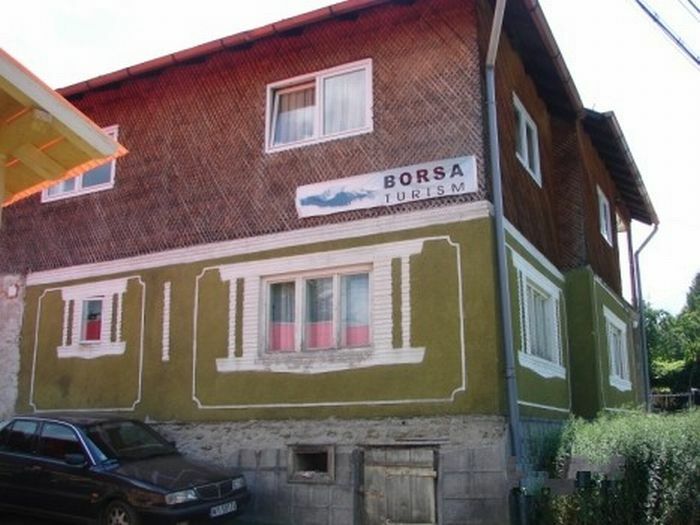 "Borsa Turism"
is managed by Dutchman, there are: shower, warm water, fire place, benchs and very nice atmosphere.